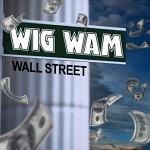 Frontiers Records is excited to announce the release of Norwegian Glam Rockers WIG WAM newest studio album "Wall Street" on May 18th 2012 in Europe and May 22nd in North America. 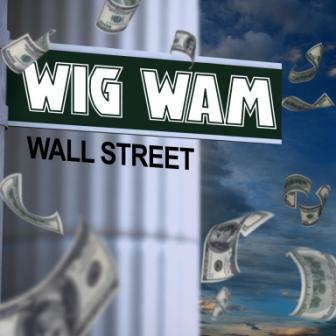 Anticipated by the release of the single with the same title "Wall Street", WIG WAM’s forthcoming album will not disappoint the fans, since the band still presents their classic blend of melodies & catchy choruses, blowing your speakers with full blown rock’n roll anthems! "Our only mission is to ROCK the world !" say singer Glam. "And Wall Street sure is more entertaining than the stock market these days ! One thing that will SHOCK the world on this album is that it's containing no fillers. Every song has it's unique universe, the band sounds better than ever and the songs offers everything from the taste of Heavy Metal to classic Wig Wam glamrock". WIG WAM enjoyed their major breakthrough in 2005 when they presented their single "In My Dreams" to the Eurovision Song contest, beating all rivals and going straight to #1 on the national charts, where it stayed for over 21 weeks and sold platinum. In 2006 WIG WAM went straight from the road to the studio and recorded their follow up, "Wig Wamania" and the band went immediately back on the road on their WIG WAMANIA TOUR, which hit Japan for the first time. In 2009 the band released their third studio album "Non Stop Rock'n Roll” , the first WIG WAM album to be released simultaneously in whole World. The Album was a huge success for the band sold to Gold Award in Norway. "Unlike our previous release "Non Stop Rock'n Roll", when we headed out on tour at the very release date, we will let our audience get to know our new songs before we head out on tour this time" tells Glam. "But there will definitely be a Wall Street Tour coming up, so check our website for more info”. "Wall Street" will include the following tracks : Wall Street; OMG! (Wish I Had A Gun); Victory Is Sweet; The Bigger The Better; Bleeding Daylight; Tides Will Turn; Wrong Can Feel So Right; One Million Enemies; Try My Body On; Natural High; Things Money Can't Buy.